Beginning January 2nd, 2018 we will teach weekly classes at our new location in 4 Scripps Ranch. Our new facility will have a kids room, where your little minions can play, read, and relax within your eyesight. Beautiful lockers rooms and plenty of parking. It is going to be a blast! As a thank you for your patronage we would like to extend to you a door-buster offer (literally) of $45.00 a month for the first two months with no further commitment. [ALPHA18] in reference to save! 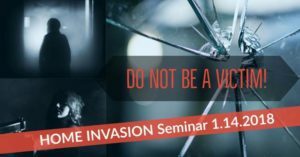 Our next special seminar is coming up on January 14th, at 1 pm. Attendance is limited to 30, but there are still a few spots open. Do not miss your chance to register. Skills that will be covered: fighting in close quarters, against surfaces, being ambushed in your bed, using everyday objects for self-defense and much more. Nancy Stroud began her training with Korean martial arts, including Tae Kwon Do and Soo Bahk Do, and in 2003 earned her 1st Degree Black Belt in Soo Bahk Do. In 2002, Nancy began training in Krav Maga and continued to cross train in both systems until 2007 when she earned her civilian instructors certification. 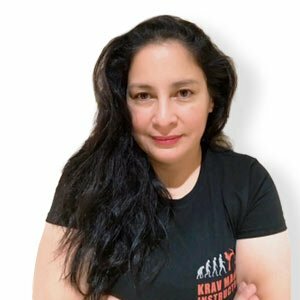 In May 2017 after 15 years of training and living Krav Maga; Nancy received her Expert 2 certification in Israel making her one of the highest ranking Krav Maga instructors in the world. Nancy earned her expertise through years of dedication, teaching, and training. She loves to see the transformation in students and believes Krav Maga is essential for everyone. We are excited for what the future holds under Nancy’s high quality standards for teaching. To learn more about Nancy.